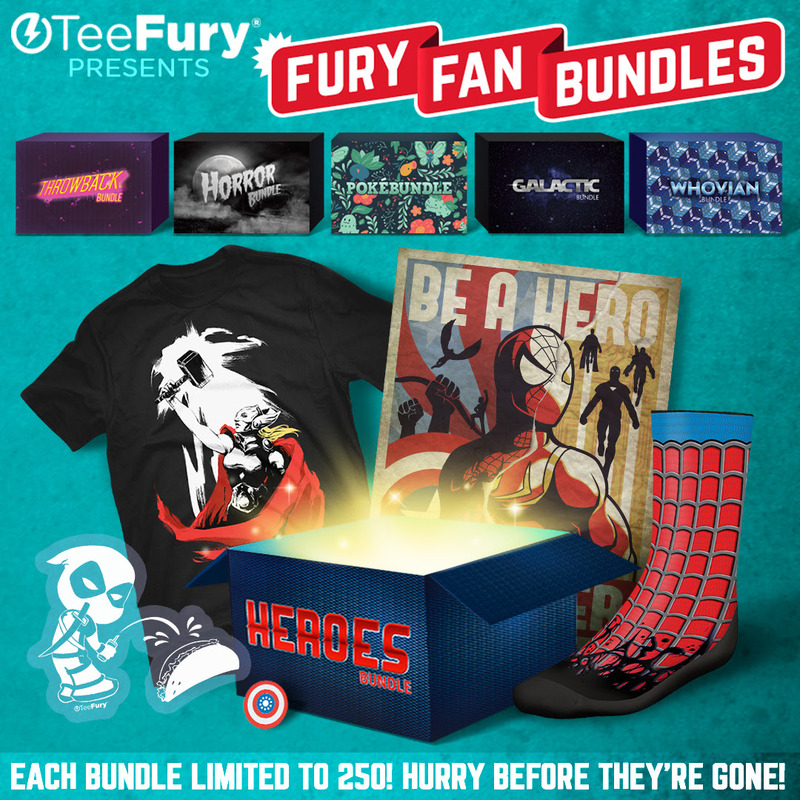 TeeFury is pleased to introduce Fury Fan Bundles on sale 1/13, made from your favorite fandoms! Each bundle is a box that includes exclusively designed products that you can't find anywhere else and are available only in limited quantities! Select a box below to reveal what's inside, hurry before they're gone! Happy bundling! Throwback, Horror, PokeBundle, Galactic, and Whovian. Well its good that you guys decided to make a bundle and include the best things in it. I am sure many people will buy it and you will reach your sale goal.